Facebook is now $50 billion company with more than 500 million active users. 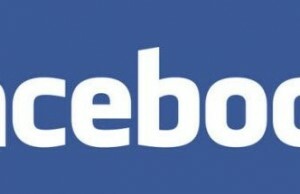 Facebook was started as “thefacebook.com” in Feb 2004 by Mark Zuckerberg and changed to “Facebook” in year 2005. In year Sep 2004, Facebook received $500,000 from Peter Thiel as an investment and in 2004 the company was valued at $5 Million. 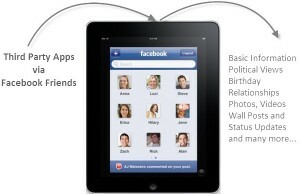 In Jan 2011, Facebook received $500 Million from Goldman Sachs and DST and valued at $50 billion. 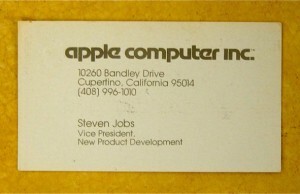 The company was started to exceed $3 billion in revenue in 2011 but it is expected to reach a valuation of up to $100 billion by the time. On Sept 2006 Yahoo supposedly made a $1 billion bid and Facebook has rejected that too. On Oct 2007 Microsoft invested an unheard of $240 million by giving it 1.6% stake and gave facebook a valuation of $15 billion. There were more than 50 million active users by 2007. On May 2009 DST (Digital Sky Technologies) have invested $200 million with a valuation of $10 billion. On the same year Elevation Partner also invested another120 million. In order to strengthen the US dollar, Facebook expects total revenue in 2015 to be approximately 5% lower than it would be under 2014 exchange rates. It will represent the expected reduction in 2015 total revenue and not the reduction in the year-over-year growth rate. The company is also looking to make more investments in talent management, product innovation and infrastructure. 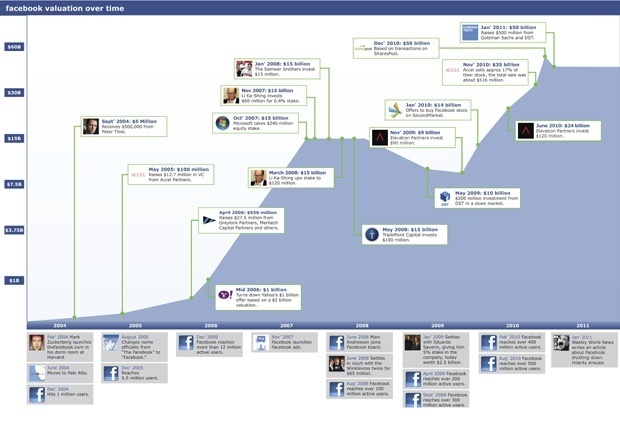 TechCrunch folks came up with an infographic showing the investments and valuation of Facebook on timeline.